How is ICD-10 affecting claim denials? There are some mixed messages on how much claim denials have risen since Oct. 1. Some healthcare providers are reporting a few ICD-10 denials but not enough to worry about. On the other hand, a healthcare consultant found out that a California HMO was denying medical claims on a massive scale. And NCDs and LCDs have needed tweaks to prevent mistaken denials. If this isn’t a major national problem, it certainly can be a major problem for individual medical practices. So it needs to be fixed. First, measure ICD-10 claim denials and monitor revenue-based metrics. It is important to understand where the problems are occurring. Then medical practices can start fixing the problems that create denials. 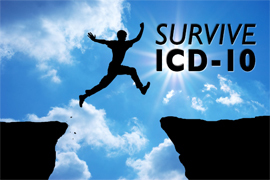 Second, figure out if the right ICD-10 codes are being used. There is lots of room for error so make sure the medical claims are coded correctly and clinical documentation supports the diagnoses. Keep investing in coding training. Third, keep calling the healthcare payers until they answer questions. Do not let any denial go because it’s too much work. Registration processes: Denial problems can start before the first ICD-10 code is recorded. Medicaid: Which comprises 13 percent of all denials. Start by checking eligibility, medical necessity and pre-authorization. High-impact specialties: Specialties contribute heavily to major amounts of claim denials. (Repeat the advice in the first two tips). In a way, the macro claim denial statistics don’t matter as much as the individual anecdotes. Those stories are valuable examples of how to solve denial issues. By kristian|2016-01-28T17:17:15+00:00January 28th, 2016|Blog, Commercial Insurance, Consulting, Credentialing, Doctor, Healthcare Changes, Healthcare Professionals, ICD-10, Medicaid, Medical Billing, Medical Coding, Medical Compliance, Medical Credentialing, Medical Insurance, Medicare, Medicare, medicare claims, Physician Credentialing, Verification|Comments Off on How is ICD-10 affecting claim denials?